(l-r) Mike Pritchard and Mark Davies outside the new Trespass shop at 45 The Shambles, Worcester. Worcestershire commercial property consultancy and Chartered Surveyors GJS Dillon has let a prominent Worcester city centre retail unit to a national outdoor clothing and footwear retailer for a new outlet in the city. In a deal brokered by GJS Dillon commercial negotiator Mike Pritchard, on behalf of a private landlord, Trespass has taken a new lease on 45 The Shambles, Worcester, Worcestershire, WR1 2RE, a 4,227 sq ft three storey retail unit, including a ground floor sales area of 1,988 sq ft, at a quoting rent of £50,000 per annum. Trespass was represented by Martin Herbert of Space Retail Property Consultants. 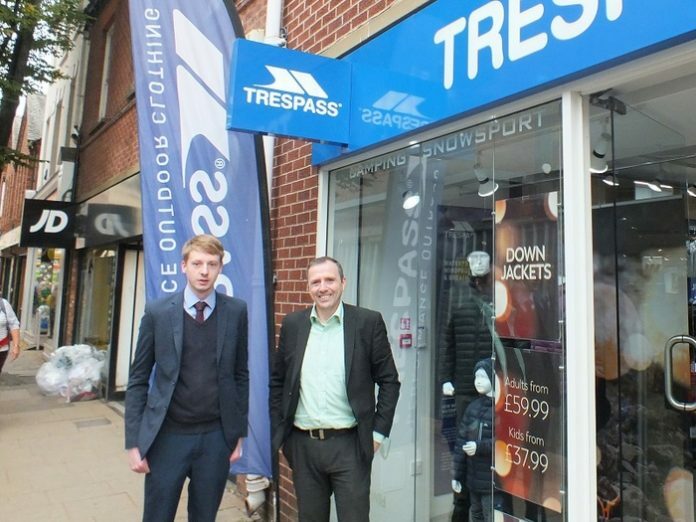 A well known brand for outdoor clothing, footwear and equipment, Trespass has more than 150 UK stores and after a gap of some years has now returned to Worcester. 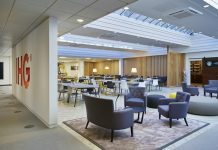 Mark Davies, GJS Dillon’s Director of Building Surveying Services advised the building’s landlord on a schedule of dilapidations for the out-going tenant and then worked with Trespass on a comprehensive Schedule of Works to update the fire integrity of the site.